Once the doctor evaluates the cause and severity of your condition, they will determine what approach will yield the quickest and best results. Our clinic emphasizes finding the root cause of your back pain and treating it at the source, rather than just masking the symptoms with temporary fixes. 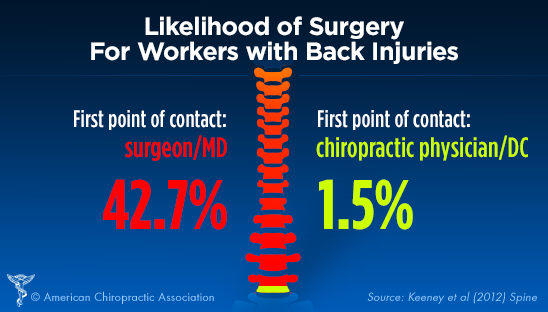 If you wish to avoid surgery, there really is no better option than chiropractic care.